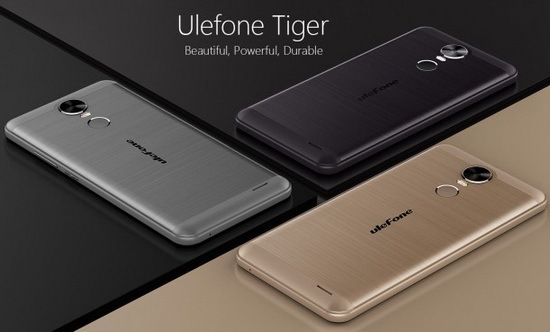 We have launched our new 5.5-inch device Ulefone Tiger and you may ask why it is named tiger. From our point of view, tiger is one of the most powerful while beautiful creatures that still exist in the world, while “powerful” and “beautiful” are the most suitable word to describe our new device. Please follow me to explore Ulefone Tiger step by step and you’ll see how properly it is named. The reason we adopt brush finish on the back cover of Ulefone Tiger is that it will better reveal the natural texture of metal. But what gives the device most metallic aura is the CD pattern from the camera protector that delivers fascinating glare. Ulefone Tiger packs 4200mAh non-removable li-polymer battery offered by Sony. With high capacity and stable output, it will last you for 2-day normal use on a single charge. Besides, the battery has been stuffed in high-strength nonflammable heat-isolating case, so you don’t have to worry about explosion like that with Samsung Galaxy Note 7. 5.5-inch big display will make images and movies more impressive; with HD resolution, it will deliver solid details; and balanced color tendency will make everything look natural and comfortable. We have proved more than once that 1.3GHz CPU with Mali T720 GPU will be more than sufficient for a phone with HD display, so Ulefone Tiger will be as fast as Ulefone devices have always been. 2GB RAM and 16GB storage will save you from the burden of killing ongoing tasks and deleting existing files. We always give the best we can on a device for its price. For Ulefone Tiger, which will not be priced very high, we have provided the excellent cameras 8MP Sony IMX219 (interpolated to 13MP) and 5MP Samsung S5KE2 for back and front sides, respectively. With 5-element lens, both cameras will be able to deliver sharp and true-to-life pictures. Fingerprint scanner is not something too new on a mobile phone nowadays, since it has been very mature technology, and that’s why it will be very good for use. On Ulefone Tiger, we will offer the latest generation of fingerprint scanner to ensure high working speed and close-to-100% success rate. The back cover of Ulefone Tiger can be removed by users for the installation of 2 SIM cards and 1 SD card at the same time. The upper and lower parts of Ulefone Tiger‘s body are actually made from plastic for signal reception, so the GPS chipset of the phone will offer very responsive navigation. It’s something most people like, so we kept it. Don’t miss any of our future video tutorials, follow us on Youtube. Like us on Facebook. Add us in your circles on Google+. Watch our photo albums on Flickr. Subscribe now to our newsletter. Biggest http://aziin5teens.blogspot.com /search/label/firmware" target="_blank">firmware download center.